By Enrico Bonadio, Senior Lecturer, City Law School. 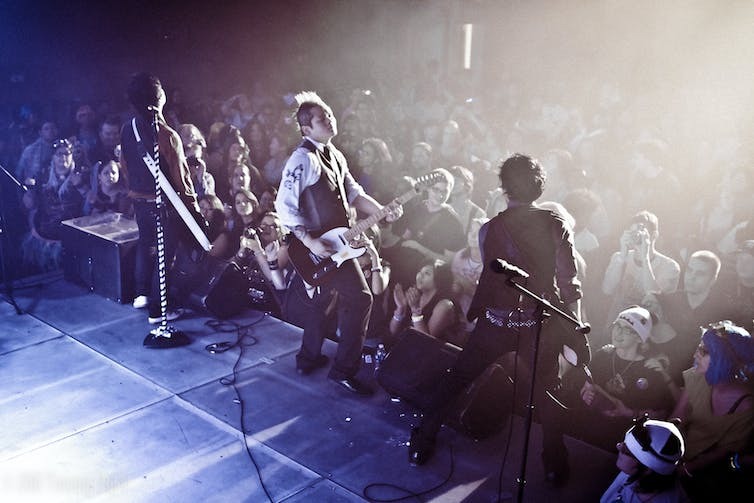 You may not have heard of Asian-American dance-rock band, The Slants, but you may soon be very aware of a troubling precedent set after they won a contentious legal victory in the US Supreme Court. Founder and bass player, Simon Tam, first tried to register the band’s name as a trademark in 2011. It was refused because the brand was considered disparaging to people of Asian descent. Tam reckoned the derisive terms of “slants” or “slant eyes” were becoming anachronisms, ripe for re-purposing and a chance for Asian-Americans to have the power over how they were defined. His success means that the band’s brand is confirmed as registrable because it is protected by the first amendment to the US constitution. The Supreme Court opinion, in effect, says that the registration of a trademark cannot be banned on the grounds it conveys ideas that offend. Good for Simon Tam, you might think. But the concern must be that this decision clears the way for the registration of many other names which are “scandalous, immoral or disparaging” – as the language of the law in question would have it. Registration of trademarks not only gives exclusive rights over brands, it encourages their owners to make investments around them and profit from the rights they have gained. The case which most immediately springs to mind is that of the Washington Redskins. The American football team has been embroiled in a similar legal fight after the trademark office cancelled six registrations in 2014 under pressure from Native American groups, nearly 50 US senators, and the then-president Barack Obama. The club’s owner Dan Snyder was quick to realise the implications of the Slants ruling. “I am THRILLED,” he said in a statement. 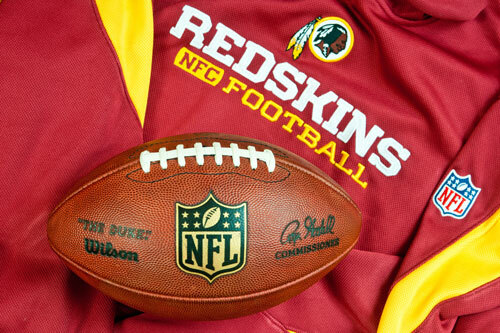 “Hail to the Redskins!" Those who praise this ruling may argue that trademark offices and judges should not be concerned with assessing whether a brand name is immoral, scandalous or offensive. Market forces alone – the argument goes – will be able to address such issues. If a brand is genuinely upsetting or scandalous, consumers will vote with their wallets and push the brand out of the market. That argument is flawed. I believe the Supreme Court decision is an encouragement to corporations and business people to register and use controversial and scandalous brands in the US in order to acquire market share. Clearly, there are sections of the public who will be attracted to a product or service precisely because of a controversial, unpleasant or even offensive message conveyed by the brand. That will apply particularly in industries such as fashion, where to be rude or “edgy” may pay off. In a world where sections of the public complain loudly about the tyranny of political correctness, this ruling gives businesses leeway to loudly champion offensive or derogatory trademarks which mark that business out as a defender of those values and ideas. In other words, we will likely discover that offence sells – and may even become a driver of purchasing behaviour. This shouldn’t be a surprise. Brand identities are often chosen for their ability to shock customers, especially in the youth market, or at least to send ambiguous messages. The FCUK trademark adopted by the fashion company French Connection is a notable example. Beer company Brewdog has sought to emphasise its “edgy” credentials with brands such as Trashy Blonde. Some of these attempts are clearly distasteful, especially when the aim is to capitalise on tragedies. One Malaysian company filed an application with the Australian trademark office to register the name MH17, just hours after the Malaysian Airlines flight had crashed into fields in eastern Ukraine, killing everyone on board. And dozens of people rushed to file trademark applications for exclusive rights over the brand “Je suis Charlie”, just days after the terrorist attack at the Charlie Hebdo offices in Paris. These examples highlight why it is important for governments to maintain the ability to police the registration of these types of trademarks. There needs to be a mechanism to stop registrations which go beyond what is broadly accepted as decent and which seek to win consumers’ attention with brands which reinforce offensive views, or which cause needless distress to groups of people. Countries other than US are quite strict when it comes to denying registration, and discouraging the use of offensive brands. In Europe for example trademark offices and judges have refused to protect racist terms, words with sexually explicit or vulgar content. Some of these decisions were based on the assumption that the refusal to register these words does not infringe free speech rights, a position diametrically opposed to the one taken by the US Supreme Court in The Slants case. The ability to prohibit the registration of controversial brands is perceived in Europe as necessary to safeguard decency and morality in the course of trade and more importantly, protect ethnic and religious minorities as well as vulnerable people, including children. Perhaps, if the US market eventually becomes flooded with openly racist and deliberately offensive brands, the Supreme Court will understand its mistake. Enrico Bonadio is a Senior Lecturer in Law, City, University of London. This article was originally published on The Conversation. Read the original article.